Basin and Bay Area Stakeholder Committee and Expert Science Team for the Sabine and Neches Rivers and Sabine Lake Bay. Meetings, links to member lists, recommendations, work plan documents, and previous meeting agendas and presentations. Stakeholder committees develop environmental flows recommendations for their river basin and bay system based on their associated science team's recommendations and other factors, including present and future needs of water for other uses. The Sabine and Neches Rivers BBASC was appointed by the Environmental Flows Advisory Group (EFAG) on August 1, 2008. Science teams develop environmental flow analyses and a recommended environmental flow regime to support a sound ecological environment for their river basin and bay system. The science teams must consider all reasonably available science, without regard for other water use needs, and make recommendations based solely on the best science available. The Sabine and Neches Rivers BBEST was appointed by the BBASC on December 1, 2008. 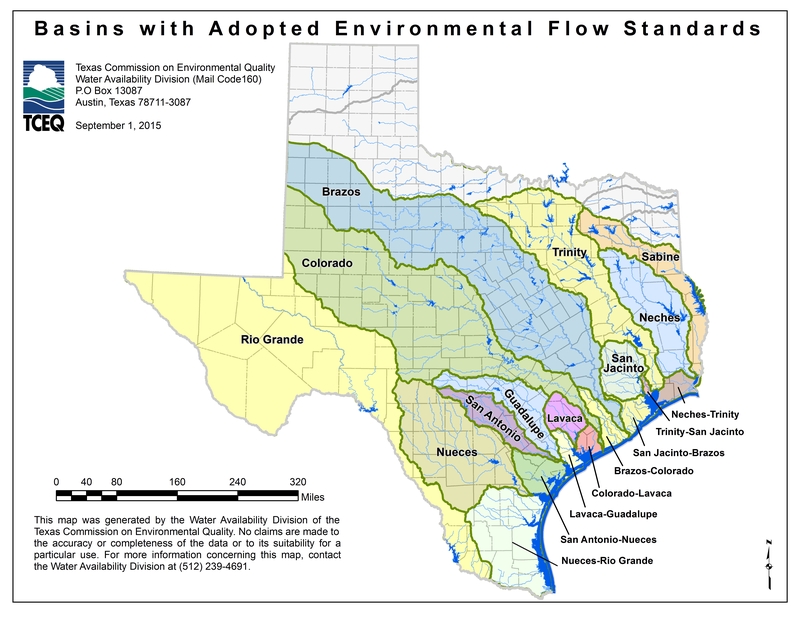 The Texas Water Code (TWC) required Basin and Bay Area Stakeholder Committees and Expert Science Teams for specific river basin and bay systems. TWC 11.02362 . On August 8, 2011, TCEQ adopted environmental flow standards for the Sabine and Neches Rivers and Sabine Lake Bay. For more information see the Environmental Flows Rules Web page or view the basin rules [30 TAC, 298(C)]. Once complete, the work plan is submitted to the Environmental Flows Advisory Group (EFAG) for approval.